Remember when Magneto magnetically ripped out Wolverine’s adamantium from his bones in the “Fatal Attractions” crossover? Mongolia sure does. I think this was a pretty low point in X-Men history as we ended up with a bone claw Wolverine for over 5 years (he somehow lost his nose during this era as well). It also seemed an action beneath the Magneto readers had been following all these years (surely he entertained such a thought before and chose not to do it). To read about how the whole plot line came about, scroll down to the bottom of this post. Love stamps? Love X-Men? 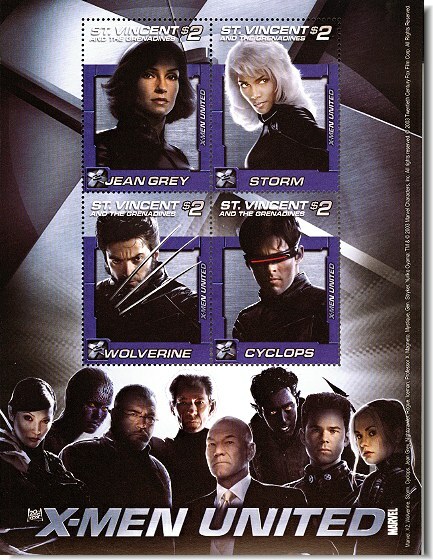 Add Mongolia X-Men stamps to your collection today! You might also want to track down these slightly less interesting stamps from St. Vincent and the Grenadines and these from the United Kingdom. As for me, I have no intention of adding any images of she-who-shall-not-be-named to my stash of X-Men items. 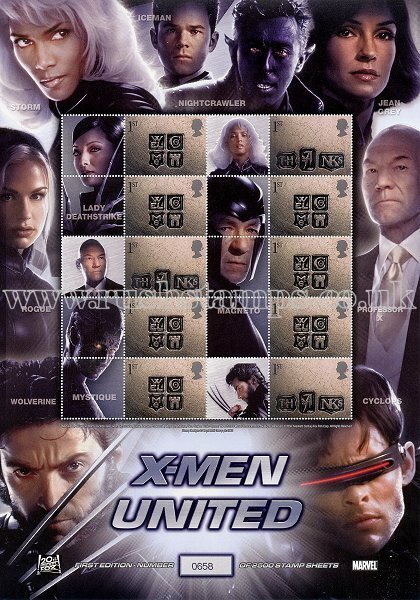 I do, however, have a few sheets of these Marvel stamps which have the original five X-Men and Wolverine among their images!